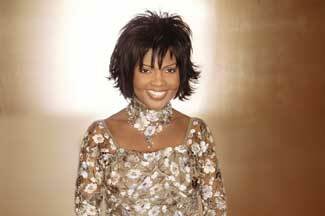 It's virtually impossible to talk about CeCe Winans without acknowledging her artistic influence on an entire musical genre and the groundbreaking achievements she's accomplished over the past two decades. Blessed with one of the music industry's greatest voices, CeCe has crossed all stylistic, social and age barriers with her inspirational delivery and powerful music. CeCe's personality, inviting warmth and genuine love for God transcends her music and has earned her millions of loyal fans around the world. Her industry accolades, nearly too numerous to count, include five Grammy Awards, 18 Gospel Music Association Dove Awards and several gold and platinum-selling albums. CeCe's collection of Top Ten R&B radio hits include "Count on Me," her powerhouse duet with Whitney Houston, from the multi-platinum Waiting to Exhale soundtrack. The multi-format smash single sold 2 million copies and hit the Top Ten on pop, R&B and adult contemporary charts. Her successful music career has also landed her in the national media spotlight with television appearances on "Oprah," "The Tonight Show," "The Rosie O'Donnell Show," "Live with Regis & Kathie Lee", the White House and many more. Following the release of her critically-acclaimed, gold certified, Grammy-winning 2001 album, self-titled CeCe Winans, CeCe wowed packed out venues across the nation, visiting major markets on a co-billed tour with gospel great Donnie McClurkin, followed later by the crowd-pleasing Winans Family Tour with her celebrated musical family. CeCe donned her acting hat in 2002 for special guest-starring roles on The WB Network's "7th Heaven" and PAX Television's "Doc," continuing to explore new territory in her expanding career. "It's always a lot of fun when I get to experiment in different arenas," CeCe admits. "These were great experiences and gave me the opportunity to meet some incredible people. It's always humbling to see when doors begin to open and allow you to reach an even broader audience than before." And those opportunities continue to grow with the release of CeCe's brand new CD, Throne Room, her first in a new recording agreement that brings together INO Records and CeCe's own Wellspring Gospel label with mainstream giant Epic Records, a division of Sony Music (she's already working on her second project, a pop record, due out in the spring of 2004). Throne Room is a project decidedly personal, encompassing a collection of worship songs CeCe was deeply passionate about recording. "Worship is probably my favorite kind of music," CeCe explains. "For some time, I've really felt like God was telling me to record a very special project that would encourage people to worship. As I was completing the new record deal with Epic, I told them, 'I've got to do this worship album before I can do anything else.' It may make no natural sense to do this record right now in my career, but for the past two years I have had confirmation after confirmation that this is absolutely the right time. I know it's all in God's timing, and it's what He wants me to do right now. If you are a worshipper this project will take you there, and if you're not it will certainly give you peace." Produced by Victor and Cedric Caldwell (Whitney Houston), Throne Room offers listeners a full-length CD packed with some of the most captivating and spiritually stirring music of CeCe's career. From simple, piano-based melodies, lush strings and accompanying sounds of CeCe's home church choir, the 16 songs cover a range of musical timbres. At the same time, the simple, poignant words paint a powerful picture and communicate a message that is paramount to everything else. "This album is really transparent," CeCe admits. "I have changed because of it, and I just want to give people what I know. The times we're living in are tough, and we've got to learn how to worship because that will be our refuge. If we will learn to worship, then we'll be okay. Worship is not about us - it's not about our circumstances or about what we need. It's just about worshipping God for who he is. Period. When we learn how to do that, then we'll create that atmosphere in which God can work in our lives." While CeCe wrote or co-wrote almost every song on the project, Throne Room brought her together with her close friend, gospel legend Andrae Crouch, for the album's title cut. "God has given Andrae songs like water running out of a faucet," says CeCe. "When I sat with him at the piano as he began playing the music to 'Throne Room,' I just began to cry. I knew it was a song I had to work on with him, so I brought it back home with me and finished it. It expressed precisely what I wanted to say on this album, and it became the title song." Another emotionally-charged moment on the album is the Greg Long-penned "Mercy Said No," a song CeCe says immediately took her back to the miraculous battle for her brother Ronald's life as he lay on the operating table undergoing heart surgery a few years ago. "We were in that hospital desperately praying for him to come back," CeCe recalls. "And this song says, 'Life and death stood face to face, and God said no.' It's an incredible song - something everybody needs to hear." Whether it's through the quiet, intimate brush strokes of the worship melodies, or the powerfully delivered inspirational lyrics, CeCe has once again crafted a project that demonstrates the spiritual maturity and growth of an artist who has consistently triumphed as a multi-talented songwriter and performer. She is an ambassador to those who have been touched by her life and her music, while allowing her faith to remain at the forefront of everything she does. "I've got to be who I am," CeCe declares. "I can't change who I am. I can't worship any differently. I have to stay true to myself. I have a love for God - that's why I keep doing what I'm doing. If it were just about the music, I would have quit a long time ago. It's got to be about more than that. I thank God for my voice, but I recognize that I can't do any of this without him. Without him, I would be just another voice singing just another song. I'm just grateful that he's able to use me."